EA recently rolled out a new update for FIFA 17, adding many features and improvements that players have long been requesting. 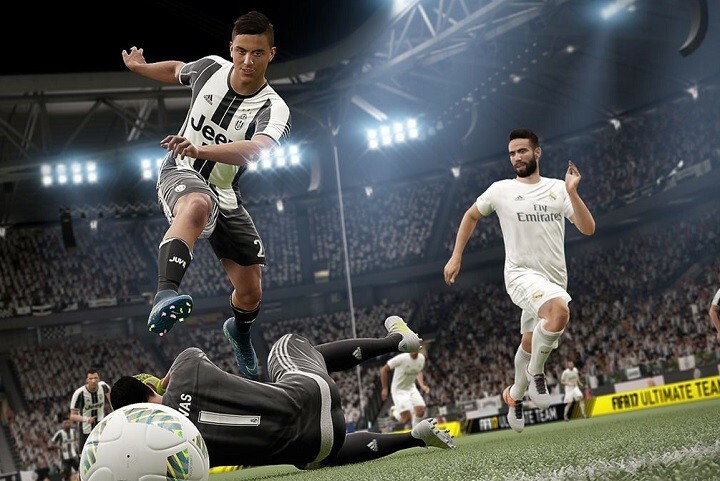 The fourth title update for FIFA 17 adjusts the defensive line position for low pressure tactics, fixes an issue where a pass was made without a button press, and adds many visual improvements, among other changes. At the same time, FIFA 17 Update 4 also brings issues of its own, as players report. Also, it is worth mentioning that the update fails to fix the annoying grass texture issue, although EA promised that the upcoming patch would fix this problem. The fact that PC users can’t enjoy playing football on 3D grass is a major source of discontent for many FIFA 17 players. Players report that the update process starts without any problem, advances half-way through, then suddenly stops and disappears. Relaunching it doesn’t solve the problem. Mine and my friends update got to about 58%, slowed right down to half a mb and then just disappeared? Anyone else get this? FIFA 17 players report that the game has become very laggy after they installed the latest update. Changing the settings to low doesn’t solve this issue. Also, try checking for updates. You may be experiencing lag issues particularly because you haven’t installed the latest Windows or graphics driver updates. The official patch notes confirm that the latest FIFA 17 update brings some changes in the game’s defense mechanics. Some players report that they can’t even defend despite their best efforts, and they’re sure this is not part of the update. Defenders are constantly caught flat footed and act hectic on the field, as if they had no sense of tactical awareness. Players fear that pace will now be the biggest factor on offense and defense and they’ll have to change their custom tactics up in order to adapt to the new gameplay. The biggest problem is that defenders will not stay compact at all whether players control them or not, as they now pretty much ignore gamers’ indications. My FBs are constantly bombing forward, literally playing inside my opponent’s box for absolutely no reason. So I always end up having my 2 CBs sitting on the halfway line to defend. No one else. And I’m having to use those 2 guys against 3-4 attackers at every counter. This is ridiculous. I changed my custom tactics up a little bit, lowering “shooting” helped a bit but they still make stupid runs and get caught in the counter. These are the most frequent and severe bugs affecting FIFA 17 players after they installed the latest game update. If you’ve come across a quick fix or tweak to solve these problems, feel free to list the troubleshooting steps in the comments below.